NAHA, Japan - Okinawa Gov. Takeshi Onaga said Friday he has asked local officials to start procedures to retract his predecessor's approval of landfill work for relocating a U.S. military base within Japan's subtropical island prefecture. 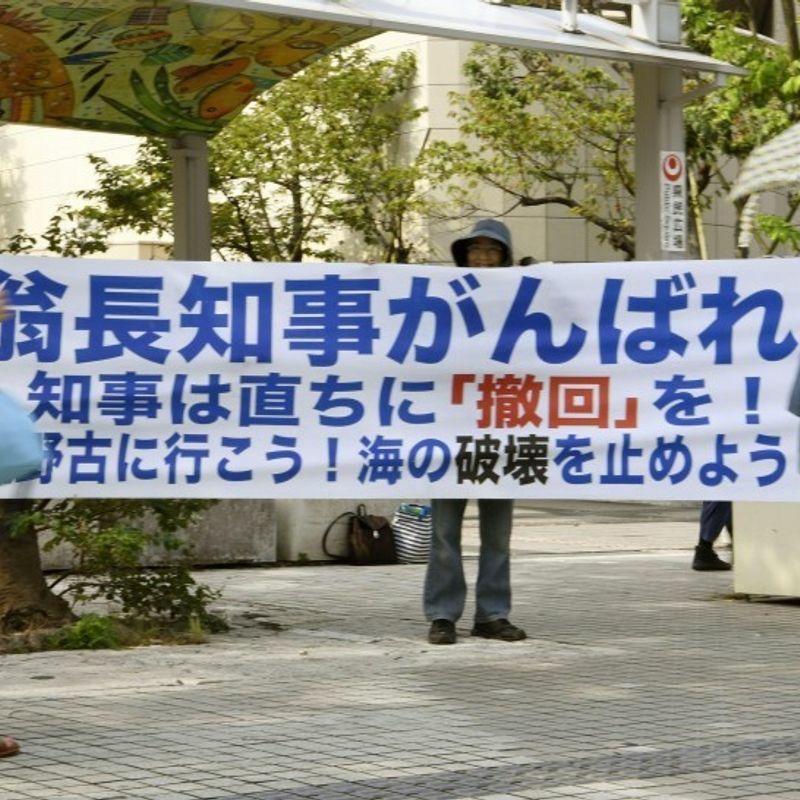 The order by Onaga, whose current term is to expire in November, is seen as a last resort to block the central government's plan to transfer U.S. Marine Corps Air Station Futenma to the Henoko coastal area of Nago from a crowded residential district in Ginowan. "I will take whatever measures and make utmost efforts in realizing my election pledge of preventing the construction of a new base," the governor told a press conference. He accused the central government of not presenting measures to protect the environment of the coastal area and failing to fulfill conditions required for the approval. The landfill work was scheduled to begin Aug. 17 at the earliest after the bureau completed the building of seawalls earlier this month as part of preparations for bringing soil to the site. 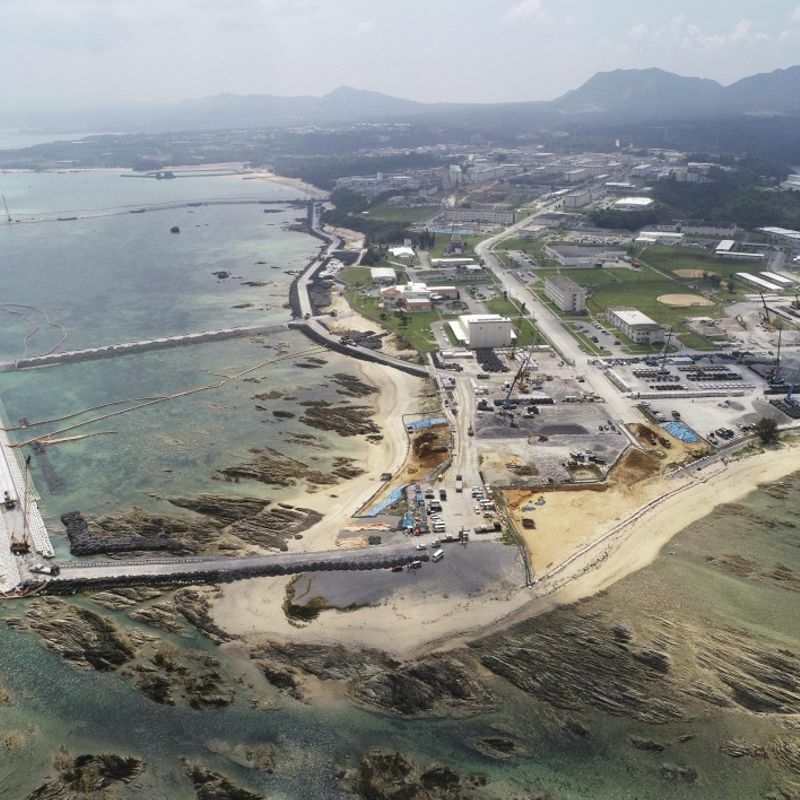 Many residents in Okinawa remain opposed to the relocation plan as they want the U.S. military base moved out of the prefecture. Onaga's announcement came ahead of the Okinawa gubernatorial election slated for November. 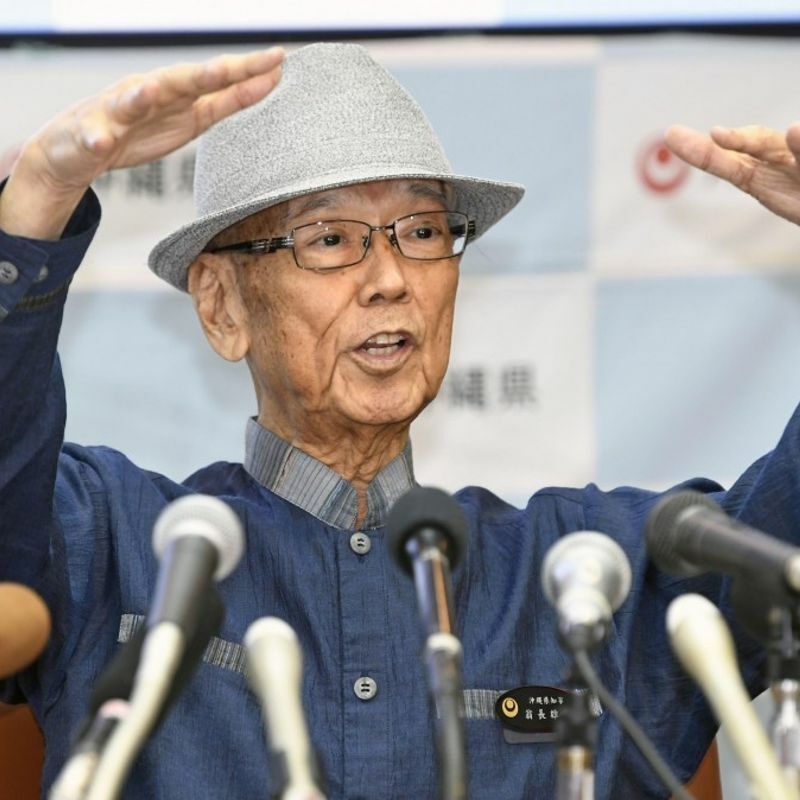 However, Onaga recently underwent pancreatic cancer surgery and has not clarified whether he will run for another term. In Tokyo, Chief Cabinet Secretary Yoshihide Suga said in a press conference, "Our intent to proceed with the relocation construction is unchanged." The top government spokesman, as well as Defense Minister Itsunori Onodera, said Tokyo will "appropriately" respond to the local government's decision. The Okinawa defense bureau is expected to counter the governor's attempt to retract approval, possibly by filing a lawsuit. Both sides have already fought a number of times in court. The central government believes the base is necessary for Japan to maintain the perceived deterrence provided by the United States, while many in Okinawa regard it as an unfair burden on the island hosting the bulk of U.S. forces. In October 2015, Onaga revoked his predecessor Hirokazu Nakaima's 2013 approval of the central government's request for landfill work in Nago, saying that it is legally flawed. But the Supreme Court in December 2016 ruled against Onaga's position, which led the central government to resume construction work.